Gamepad is not just for consoles! Genesis Natec equipment P10 is designed for players who prefer standard computers. 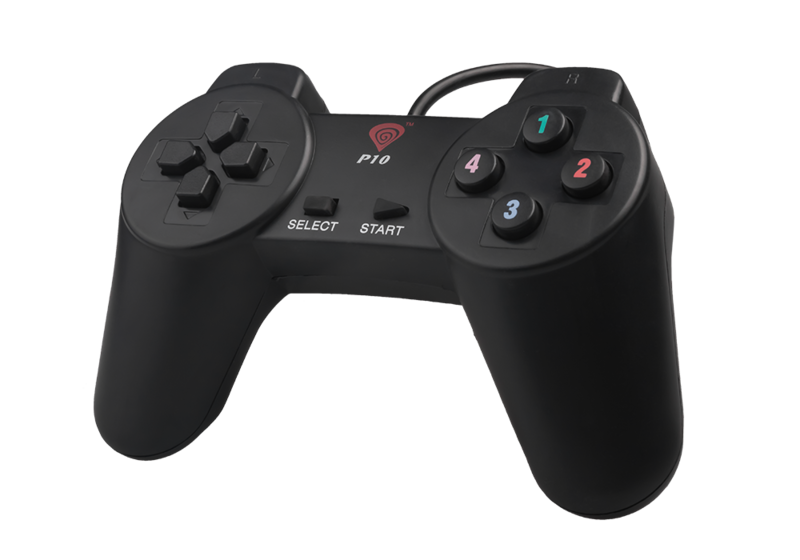 Pad has an 8-way, cross-shaped controller. In a very convenient and easy way you can play your favorite game. Real-time response without any delay makes the pad ideal for dynamic gameplay. Thanks to ergonomic, gaming design, that provides comfortable grip, P10 Gamepad is perfect for long gaming sessions. With P10 you will feel lika a pro gamer.